The macOS Mojave for MacBook, iMac and Mac Pro is optimized for productivity. It adds the Dark Mode, which has already become a personal favourite. Over the past few iterations, which includes OSX El Capitan, macOS Sierra and macOS High Sierra, the operating systems for Mac computing devices have focused on incremental improvements rather than wholesale changes. That is absolutely fine, in most circumstances. What is not broken doesn’t need to be fixed. But all this while, iOS did get a bit more attention, particularly for the iPhones and the iPad Pro. That led to a lingering suspicion that the iPad Pro, with the Smart Keyboard as well, could be readying to be a replacement for a large chunk of the MacBook’s utility. Apple has effectively dispelled those suggestions, with what is certainly the most exciting update for the macOS line-up in a while. The name macOS Mojave is inspired by the Mojave Desert in California. So much so that the dynamic wallpaper option that your MacBook or iMac will now get would change according to the time of the day where you are. Visually, you will like time shifting desktops. The desktop pictures automatically change according to the time of day. 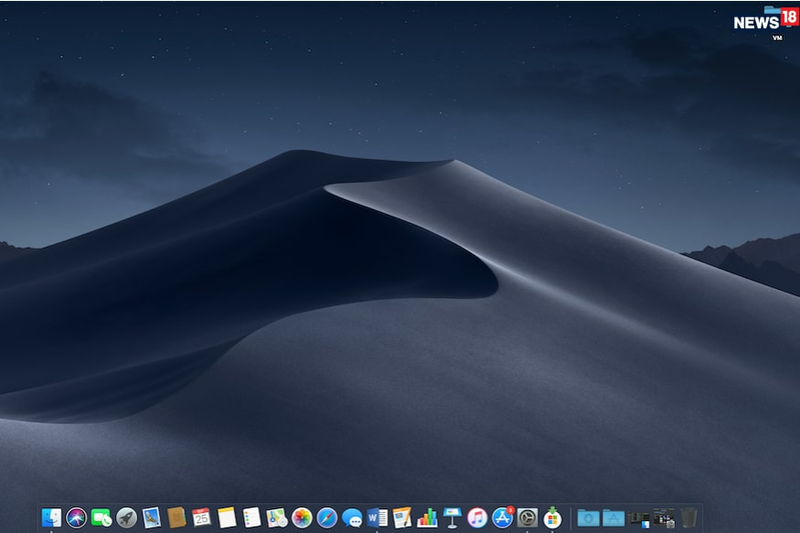 For instance, in the morning, you’ll see how Mojave looks in the morning, the afternoon will represent Mojave’s beauty at that time of the day and your Mac’s wallpaper in the late evening will show Mojave’s sights post sundown. This visual element is just the start of the newness that is packed within Mojave’s boundaries. As is always the case with macOS (earlier known as OS X), the compatibility with older machines is quite vast and wide. This time around, all MacBooks introduced in early 2015 or later, all MacBook Air introduced in mid 2012 or later, all MacBook Pro variants introduced in mid 2012 or later, the Mac Mini introduced in late 2012 or later, all iMac introduced in late 2012 or later, all models of the iMac Pro and the Mac Pro which were introduced in late 2013, as well as the mid-2010 or mid-2012 models with a Metal-capable graphics card, will be compatible to download and run macOS Mojave. At first look, you may feel not much has changed. The interface, the dock, finder and the other elements including Mission Control have stayed true to their roots. But that isn’t entirely true. First is the Dark Mode. You enable Dark Mode (Settings -> General -> select Dark Mode), and you’ll even get a wallpaper to match. The idea is to swap the brighter colors and whites in app interfaces with the black colour. A lot of fans (count us in that) find the Dark Mode more comfortable to use, particularly low light environment or during prolonged periods of screen time. Unlike a lot of implementations of the Dark Mode in the world of computing devices and smartphones, this doesn’t simply swap the dark and bright colors. Instead, Apple has redesigned its own apps, including Calendar, Mail, Photos and Safari for the Dark Mode. This is the future of the macOS, but we are at just the start. Yes, Dark Mode works, but it relies on the support from third-party apps for a uniform experience. At present, not many apps have been updated to support Dark Mode on macOS, but we hope that changes over the next few weeks and months. The biggest and most popular third-party apps, including Microsoft Office 365 and Google Chrome to name a few, need to adopt this feature in one of their future updates. In terms of how you have used a MacBook or an iMac thus far, not much changes. 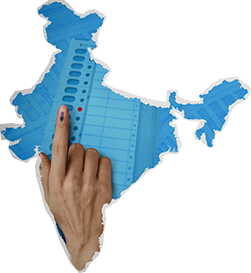 The interface, the familiarity and the apps remain the same. You will still find the same features and options where you last left them. That way, macOS Mojave does not pose any learning curve for users who are updating the software. There are fine changes along the way. When you open a Finder window, go to Edit and there you will see the new Gallery view. This could be very relevant for anyone who deals with a lot of media files, including photos, on a regular basis—and it is very reminiscent of the Cover Flow view on the iPod Touch a few years ago. On the desktop (or desktops if you have set up multiple desktops), you get a new Desktop Stacks feature. This is basically a fancier version of the standard Folders we knew all this while, and the idea is to automatically organise your files, arranged by images, documents, spreadsheets, PDFs and more, based on conditions such as type of file, tags etc. If you tag files with project-specific metadata, it can be a great tool later to sift between a whole bunch of files. Stacks also supports multi-touch gestures—use two fingers on a trackpad or one finger on a multi-touch mouse. However, since we are already quite obsessed with sorting our files and folders properly, we still prefer Folders. For everyone else, Stacks is a way to outsource that work to the software running on your MacBook or iMac. There are new tools for taking screenshots, editing and sharing them, screen recording tools and the ability to drag screenshots directly into documents and then deleting them without cluttering up the local storage space. You do get the sense that this is very iOS-esque, once you do the Command + Shift + 3 routine to take a screenshot. As it has done on iOS devices since iOS 11, the screenshot opens as a thumbnail on the macOS device, from where you can edit it, share without saving or indeed save. Even if you have to simply save the screenshot now, it requires one additional step in the process. While it is great to have extensive tools for screenshots available instantly, chances are not everyone will need them. 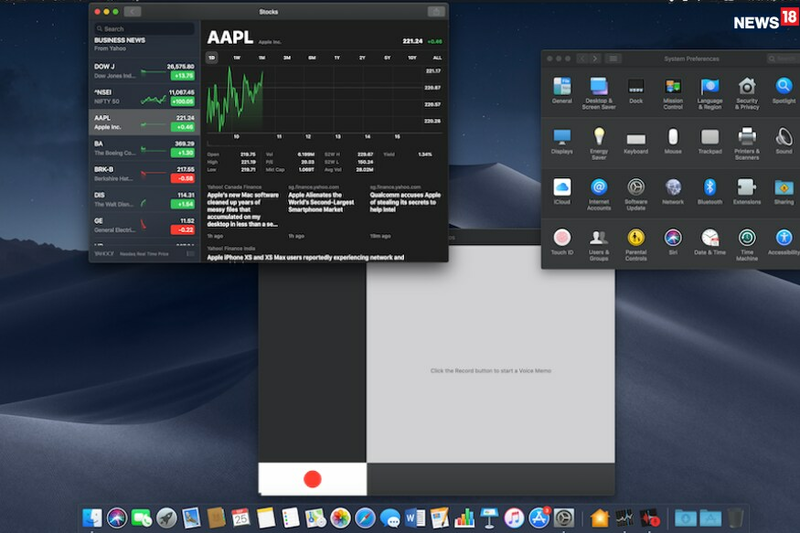 A lot of Apple’s own apps have seen a complete redesign for macOS Mojave. The App Store is one such example. It seems truly inspired by the App Store for iOS devices, at least when it comes to content curation, and the idea could be to build familiarity across platforms. The new App Store now also has editorial content including app lists. This is a great way to discover new apps, or know about some apps that may be on discount at the time. 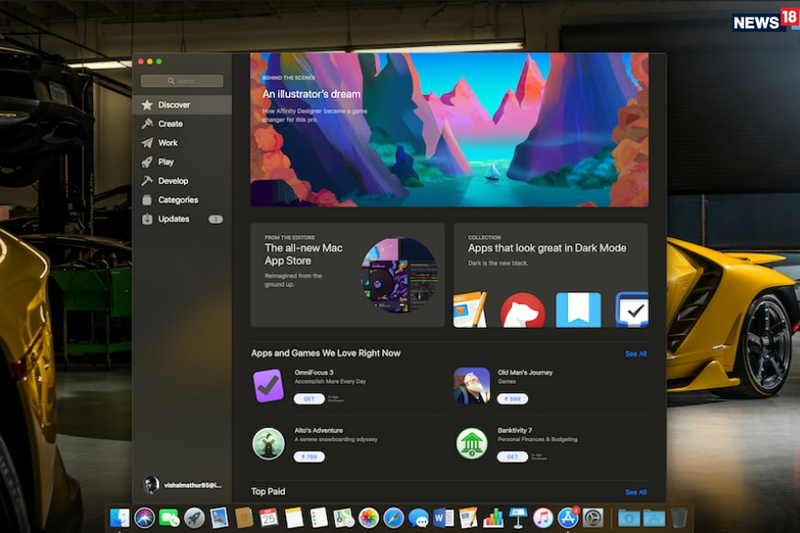 The redesign adds tabs on the left side of the App Store window, including Discover, Create, Work, Play, Develop and Updates. App developers will now be able to add video previews for their apps, which could give you a better idea of how it works before you download it—even more relevant for paid apps. The Mac App Store will now also be home to apps such as the Microsoft Office 365 and Adobe Photoshop Elements, for instance, which makes it easier to get access to a variety of apps from one store itself. Could this revive the interest in the App Store on the macOS? macOS Mojave is also introducing the Home app, which can be handy to control the smart devices at home. The big question—how is the performance? The good news is, not much has changed. Your MacBook or iMac will continue to behave as it always did. 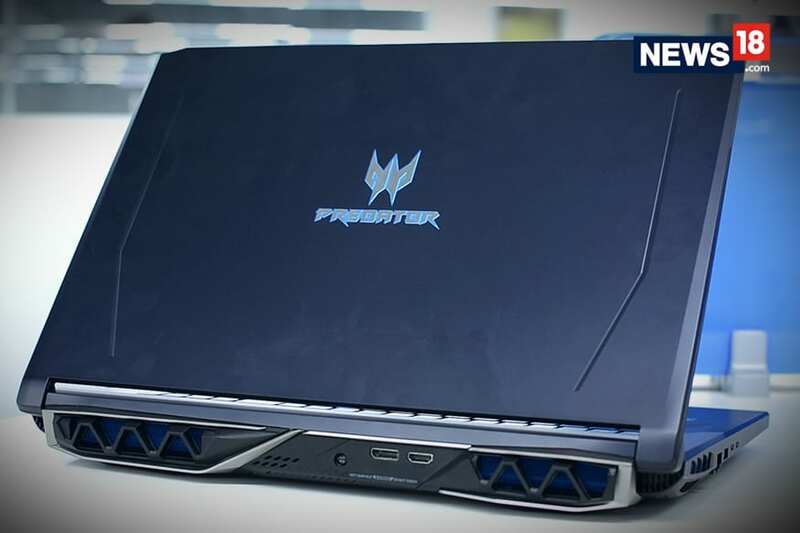 In theory, new software, particularly one that introduces a lot of new features, tends to negatively impact performance. However, we have not noticed any performance issues on machines as old as the 2016 edition of the MacBook Pro 13 (without the Touch Bar) and the 2017 MacBook Air—the older machines retain the performance without issues, and the newer machines shouldn’t have any issues at all either. Nevertheless, after installing macOS Mojave, you would perhaps notice the MacBook heating up a bit more than usual. That is because post a software update, the Spotlight indexing for files happens all over again, but once that is done, that should also go away. We have not noticed any difference in the battery life either—at least it hasn’t become worse, which in itself is a huge bonus. The thing with macOS Mojave is that it is optimized for productivity. It adds the Dark Mode, which has already become a personal favorite. Everything else feels more polished, even on a MacBook that isn’t exactly the latest in terms of specs, which should put to rest apprehensions about updating your MacBook or iMac. Also Read | Which Apple MacBook Should You Buy?